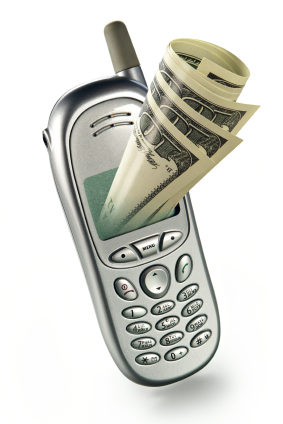 Given poor access to and accountability of financial institutions in Haiti, much has been written about the potential benefits of mobile money. The United Nations Development Program (UNDP) and the Haitian Government are planning 2,000 mobile money transfers over the next three months in support of housing repairs. The funds do not change hands, the possibilities for corruption are reduced, and earthquake survivors can get started rebuilding their homes. The full press release follows. 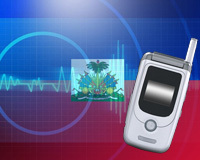 Thanks to Digicel and Voila Comcel, obtaining a cell phone is the least of your worries when traveling to Haiti. Almost immediately after arriving at the Toussaint Louverture International Airport in Port au Prince, one spots red and neon green beach umbrellas, under which man holding a string of calling cards and other mobile phone related products. Need a cell phone? No problem. In 2009, the Vincentian Family (a religious group that draws inspiration from St. Vincent de Paul) and Fonkoze (Haiti’s largest micro-lender) initiated a pilot project, named Zafen, that allows people to loan or donate to businesses in Haiti. The website showcases businesses that have been subject to due diligence, provides easy online access for reviewing them, and offers Haitian entrepreneurs access to capital for expanding their operations. In its first six months, Zafen raised $140,000 and provided funding for 300 projects ranging from coffee cultivation to community dairies. An official press release follows. Take a look at the Zafen website as well. CHIBAS is a bio-fuels and sustainable agriculture research center in Haiti with a particular interest in promoting the cultivation of Jatropha, a plant already used in Vodoun ceremonies and as a natural fence to protect crops. According to CHIBAS, Jatropha has the potential to advance food and energy security in Haiti while building rural economies. Below is a summary of the newest CHIBA piece on Jatropha's potential in Haiti. You can also find the complete paper (with graphics) on the CHIBAS website. The RAND Corportation has produced a report that convincingly argues building the Haitian state should be central to reconstruction efforts. This includes the development of skilled, trained, and properly organized government personnel and management systems within and across Ministries. The report suggests that, at least through the medium term, the Haitian government should contract out health and education services, monitoring and regulating but providing no direct services itself. It also notes the importance of developing the capacity and accountability of the Haitian National Police. A summary is copied below and the full report is attached. Coca Cola, the Inter American Development Bank (IDB), and Technoserve announced this morning a $7.5 million, five-year initiative, part of which will be focused on creating livelihood opportuntiies for 25,000 Haitian mango farmers. A new flavor of Odwalla Juice called "Hope Haiti Mango Lime-Aid" has been launched. Each time a bottle is purchased, 100% of the proceeds will go to the Haiti Hope Project. More info on the new Odwalla flavor is available here and a photo from the launch with Bill Clinton and the CEO of Coca is available here. The official press release follows below. I sometimes see articles in small town newspapers about churches or schools sending food to Haiti. The intention is good, but the impact is not - this is not how to promote food security. Project Medishare takes a different approach by fighting hunger, creating jobs, and supporting the local economy at the same time. Its Akamil factory, once operational, will produce fortified and highly nutritious food, from locally purchased ingredients, for malnourished children, pregnant women, and people living with tuberculosis and/or HIV/AIDS. My hope is that this facility will be the first of many. If you'd like to support this important effort, a link to Project Medishare's project fund-raising site is below.